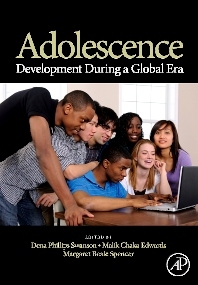 This edited textbook will be appropriate for use in advanced undergraduate and graduate level courses and will serve as a comprehensive and timely introduction to the field of adolescent development, providing students with a strong foundation for understanding the biological, cognitive and psychosocial transitions occurring during adolescence. While certain normative biological and cognitive processes are relevant for all youth, development varies dramatically based on a youth's position in society. The volume will focus on contextual factors such as culture, racial identity, socioeconomic position and sociopolitical and historical events, highlighting the impact such factors have on the physiological and psychological processes and treating them as key elements in understanding development during this life stage. The authors will cover the major theoretical positions (both historical and contemporary) about adolescence as well as the relevant research and application. Additionally, modern phenomena - the ever-increasing influence of pop culture (i.e. Hip Hop), mass media and technology (i.e., the internet, gaming) and the evolution of family, education and the church - will be explored in depth. Each chapter will be written by a known expert in the field. Primary Advanced undergraduate and graduate level students in Developmental Psychology, Education Psychology or Health & Human Development programs taking an Adolescent Development or Adolescent Psychology class. Secondary Students in Social Psychology and Clinical Psychology programs taking Adolescent Development or Adolescent Psychology to fulfill breadth requirements. Practitioners dealing with public health, social services and counseling. 3. Cognitive Development for Adolescents in a Global Era: A Social Justice Issue?